Last week, Quorning Boats reached another fantastic milestone with the completion of hull No 200 of the incredibly popular Dragonfly 28. 10 years ago, Dragonfly 28 hull No 1 was launched in the waters surrounding the Dragonfly boat yard. 5 years later, in 2014, Quorning Boats celebrated the launch of hull No 100. Dragonfly 28, although not the biggest boat in the Dragonfly fleet, is probably the most complex trimaran ever developed by Quorning Boats. 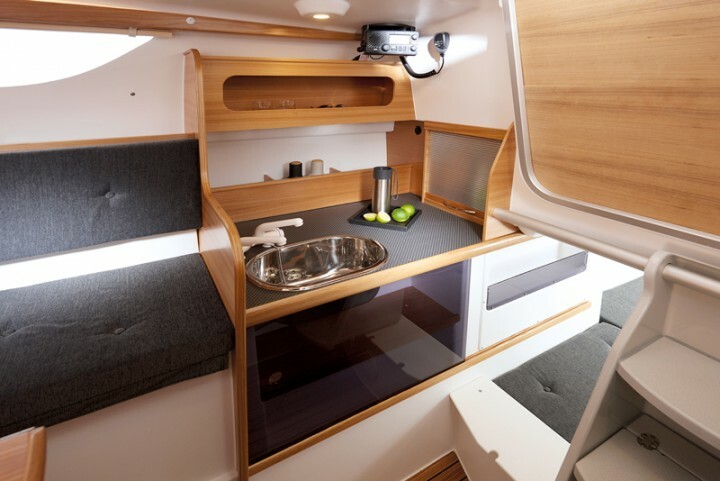 Jens Quorning describes the boat as the “Swiss Army Knife” of the Dragonfly range – the ultimate multifunction multihull, super compact and all-around. 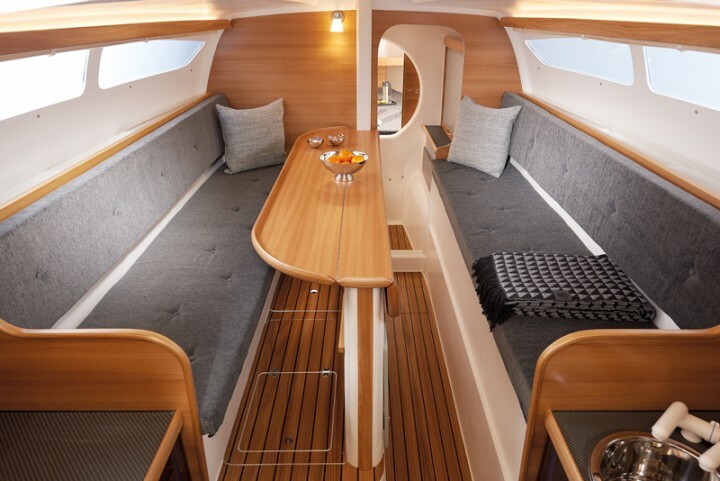 Hull No 200 is the latest Performance version with the beautiful new Elm interior. The Performance version adds another level of exhilaration. If you would like to experience yourself, the Dragonfly 28 Performance awaits in Skærbæk Marina near the Dragonfly yard. Alternatively, you may book a trial sail at the upcoming Dragonfly Open Yard event on 15 June 2019.